We have invested a huge sum of money into some of the best pro-audio, lighting and staging equipment available to ensure that we are using a quality product to support your event. We have proudly listed some of our suppliers below. Unlike many Cape Town AV companies we actually own the equipment we use so there is no middle man and we look after our stuff. While most companies hire from the large pool of freelancers at the last minute - our staff are employed only by SoundOut. 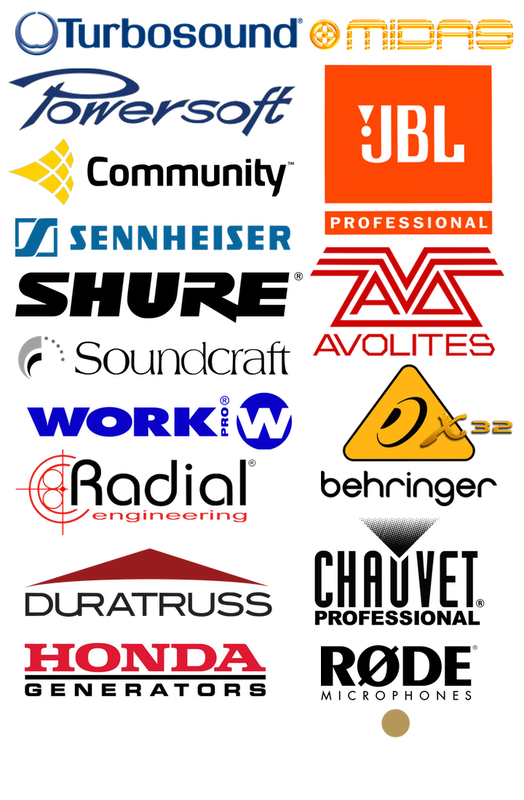 They are trained, certified and drive vehicles owned by SoundOut. They proudly represent our company in the field solving the many unforeseen challenges that every event creates.